Alvarez Gómez Balneario Aguacalma Moisturising Body Gel is oil free and quickly absorped. 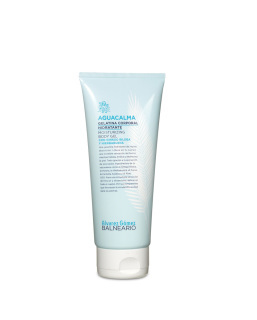 Its active ingredients stimulate and improve circulation. 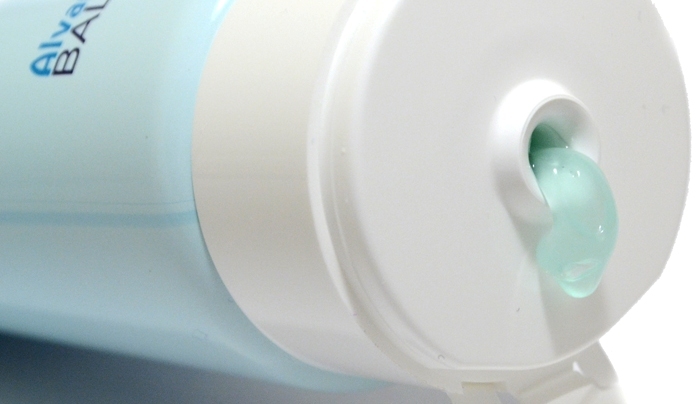 Formulated with Ginkgo Biloba, Fucus, Peppermint, Rosemary, Basil, Thyme and Gotu Kola. Its application improves the appearance of the skin, provides a feeling of freshness while moisturising, clears, regenerates and tones the skin leaving it very soft with an immediate feeling of freshness restoring calm and well-being at the end of the day. Recommended for the entire body for an immediate feeling of freshness and energy. Thanks to ingredients that stimulate circulation—algae, thyme, rosemary and gingko biloba—this gel is indispensable for legs. 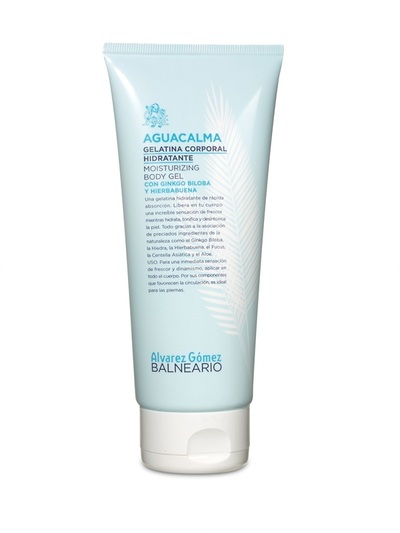 Alvarez Gómez Aguacalma Moisturising Body Gel is oil free and quickly absorped. Its active ingredients stimulate and improve circulation. Formulated with Ginkgo Biloba, Fucus, Peppermint, Rosemary, Basil, Thyme and Gotu Kola. Its application improves the appearance of the skin, provides a feeling of freshness while moisturising, clears, regenerates and tones the skin leaving it very soft with an immediate feeling of freshness restoring calm and well-being at the end of the day. 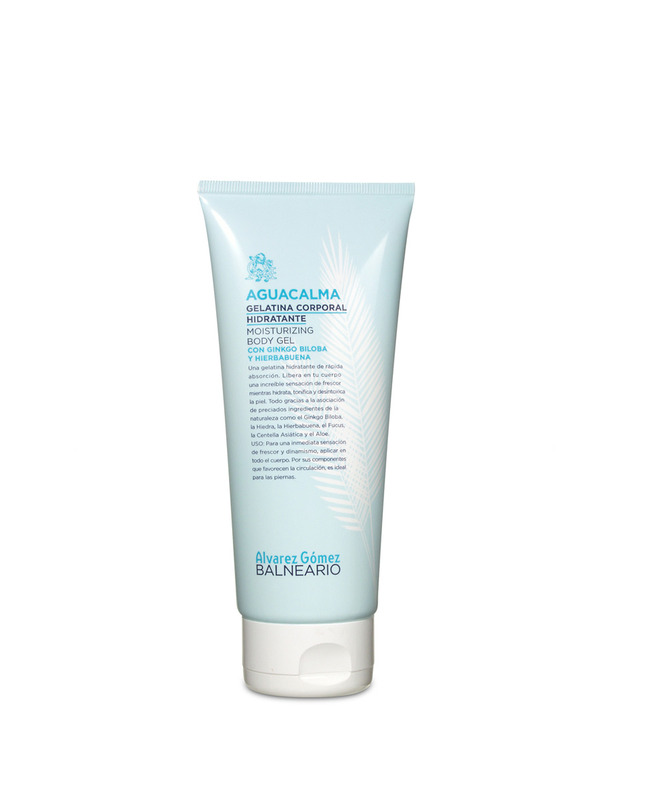 Aguacalma, with aromatic and relaxing products to help us escape from the day-to-day. Comprised of scented water, bath gel, extra-rich body cream, hydrating body gel and ground bath salts, this line features active ingredients from plant extracts, including ginkgo biloba, gotu kola, oat straw, marshmallow and various oils: grape seed, marigold, sweet almond and avocado pear.